Post-Wayfair, is the welfare of our state really in jeopardy? In calling for a special legislative session to address the U.S. Supreme Court’s Wayfair decision, the governor appears ready to pick a fight with every state that has legally adopted a sales tax. No state is seeking to force New Hampshire to adopt its own sales tax and, to be clear, it shouldn’t. However, now that the Supreme Court has ruled, it is disingenuous to lead New Hampshire businesses to believe that our state can prevent other states from enforcing their tax laws. The proposed special session may actually be worse than just a waste of state taxpayer money. Businesses that rely on hastily enacted legislation may find themselves subjected to fines and interest for not timely remitting sales taxes. The court in Wayfair dispensed with the requirement of a physical presence to impose a tax. The decision was authored by Justice Kennedy and crossed ideological lines. Before the decision, a business had to have a physical presence in a state to be subject to its sales taxes. A physical presence is a storefront or warehouse located in the taxing state. The requirement for a physical presence created an advantage for online companies over brick-and-mortar stores because only the brick-and-mortar stores had to collect taxes. A state that imposes sales taxes can now tax sales conducted entirely online once the seller meets a threshold of sales to residents of the taxing state. The tax decision will have no effect on businesses that do not sell online. Nor will Wayfair affect small or occasional online sellers because their sales will fall below required thresholds. South Dakota’s threshold is 200 sales or $100,000 in goods or services that were sold online in the prior year to South Dakota residents. Most states will adopt similar approaches. No one will like the process and there will be confusion, but online companies will adapt. Our rooms and meals tax that is paid by restaurants is a form of sales tax. Businesses in New Hampshire have adapted to it. Sales tax software is already available to automate the payment of rooms and meals taxes and will become readily available for other sales taxes. The governor’s public statements focus on how he’ll use the attorney general to personally make it difficult for other states to collect their taxes. He claims the welfare of our state is in jeopardy. Really? It appears the governor hasn’t learned anything about starting trade wars and how they often backfire. 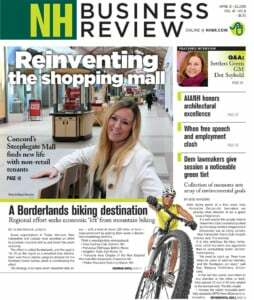 New Hampshire businesses are not clamoring for the governor’s protectionism. Indeed, the state doesn’t yet know how many businesses will be subject to other states’ sales taxes. New interstate trade barriers will invite litigation and won’t likely be effective. States will impose hefty licensing fees to circumvent our efforts to thwart collection and compliance. Online marketplaces such as Amazon and Etsy already require compliance as a condition of use. This much is true, businesses and consumers will adapt once the framework for collecting the taxes is clear. The state of New Hampshire could help by working with smaller businesses to get them up to speed and could make compliance software available for free. Introducing more uncertainty will not be helpful. Other than the politics, there is little point to an emergency legislative session. In my opinion, we need to make New Hampshire a more inviting place to open or expand a business. The call for an emergency session isn’t the kind of thoughtful leadership that will accomplish that goal. Democrat Andru Volinsky of Concord is executive councilor for District Two.